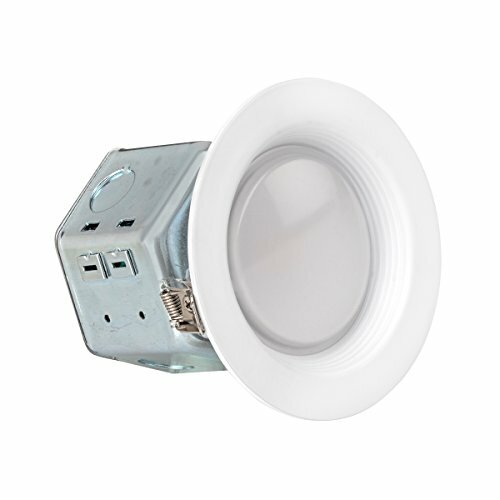 LEDQuant 4 Inch Junction Box LED Downlight, 10W (60W Equivalent), 3000K Soft White, ENERGY STAR, 700 Lumens, Wet Rated, Recessed Ceiling Light, 120V, No Can Needed, ETL Listed (3000K (Soft White)) by LEDQuant at Result BD. MPN: CDLR10W4-30D120. Hurry! Limited time offer. Offer valid only while supplies last. - ALL-IN-ONE DOWNLIGHT - No recessed can needed for these 4 Inch LED retrofit downlights that have everything included in one complete package. If you have any questions about this product by LEDQuant, contact us by completing and submitting the form below. If you are looking for a specif part number, please include it with your message.